Abstract : Hypertension is the commonest cardiovascular disease. Microalbuminuria is an early marker of end organ damage and its presence also indicates adverse cardiovascular outcome. We aim to identify the prevalence of microalbuminuria in newly diagnosed hypertensive patients in Port Harcourt and correlate their urinary albumin excretion with echocardiographically derived left ventricular hypertrophy using the left ventricular mass index. 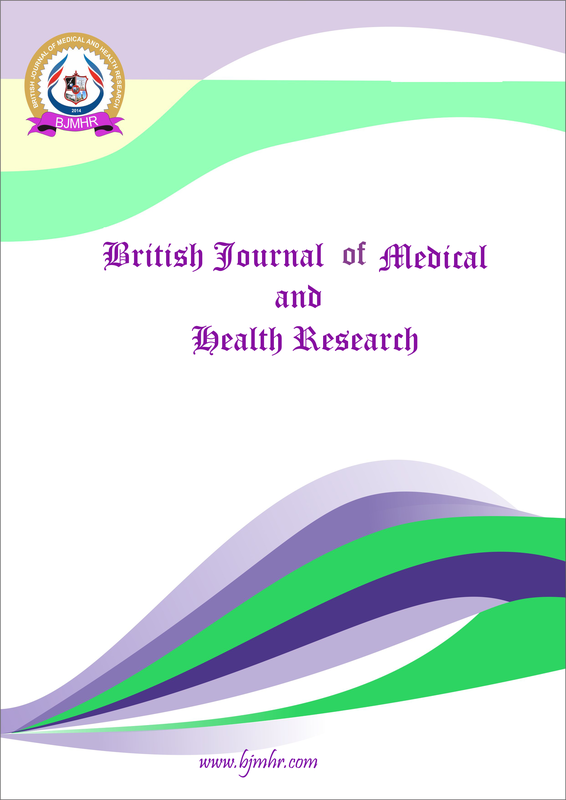 A cross sectional hospital based study of newly diagnosed, treatment naïve hypertensive patients at the cardiac clinic of the University of Port-Harcourt Teaching Hospital (UPTH). Demographic data was obtained; blood pressure, body mass index, dipstick urinalysis, urinary micro albuminuria, renal function, serum lipids and trans-thoracic echocardiography were assessed all the patients. 125 patients, age range 18 to 70 years, mean age 47.1±9.94years were recruited. Mean body mass index [BMI] was 27.28±2.82Kgm-2, mean systolic blood pressure [SBP] was 164.53±18.53mmHg, mean diastolic blood pressure [DBP] was 104.30 ± 12.64 mmHg, mean total cholesterol [TCH] was 4.97±0.89mmol/L, mean LDL cholesterol was 3.22±0.95mmol/L, mean LVM was 231.29±77.45g and LVMI was 124.30±41.65 g/Kg/m2. Mean Urinary Albumin excretion was 19.22±33.22mg/L. Prevalence of microalbuminuria was 32% and urinary albumin excretion correlated positively with the left ventricular mass (LVM), left ventricular mass index (LVMI), and LDL cholesterol. 71.2% of the subjects had left ventricular hypertrophy and among those with LVH, 52.21% had concentric LVH, 22.4 27.78% had eccentric LVH, and 23 23.01% had concentric remodeling. Micro albuminuria is highly prevalent in newly diagnosed hypertensives in Port Harcourt and correlates positively with left ventricular mass and left ventricular mass index.